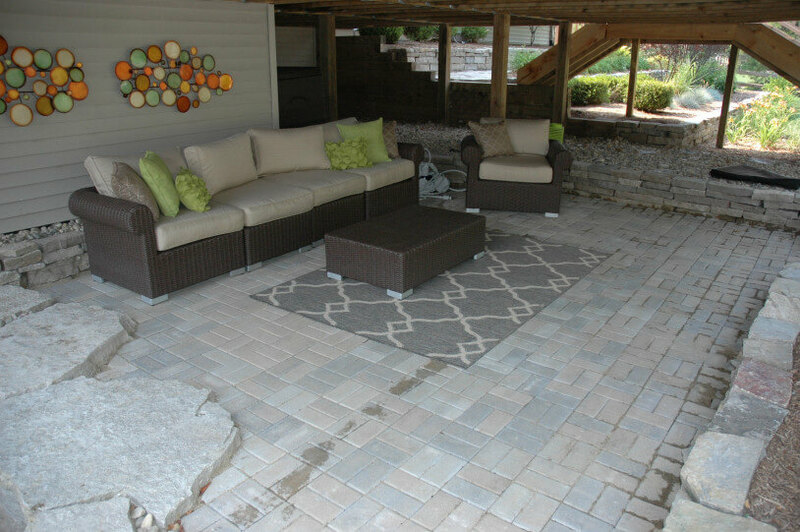 We design and install decorative brick paving to create patios, driveways and walkways that are personalized to each homeowner’s tastes. 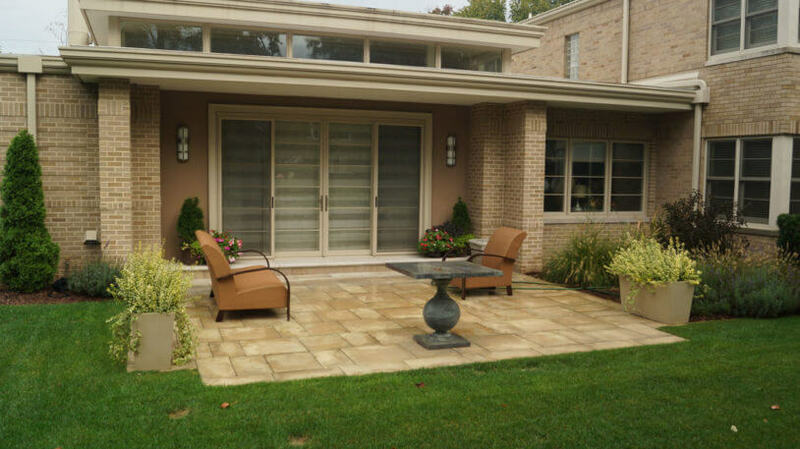 Graceful curves and colorful banding add a signature touch to your outdoor spaces. 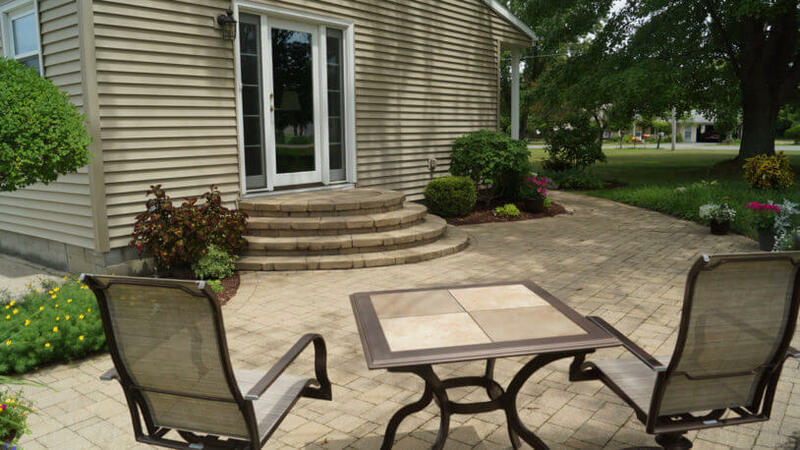 If brick isn’t your style, you might prefer the warmth of a natural stone patio. 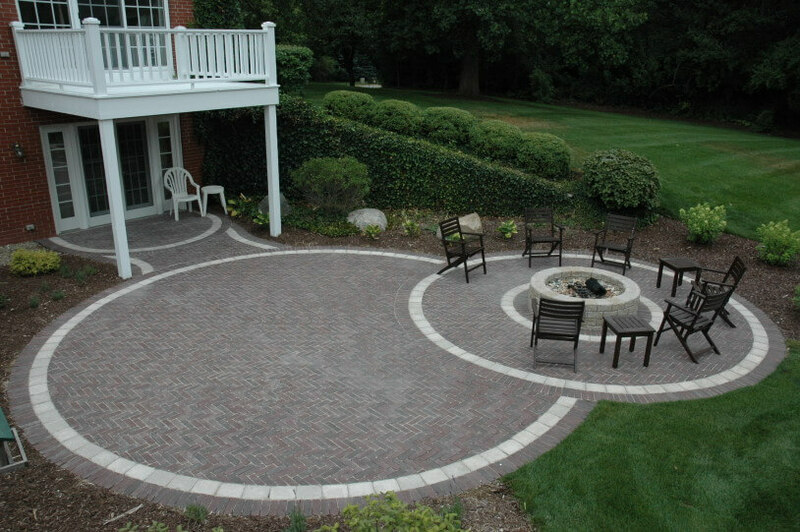 And if you want that spectacular first impression, consider a brick driveway! 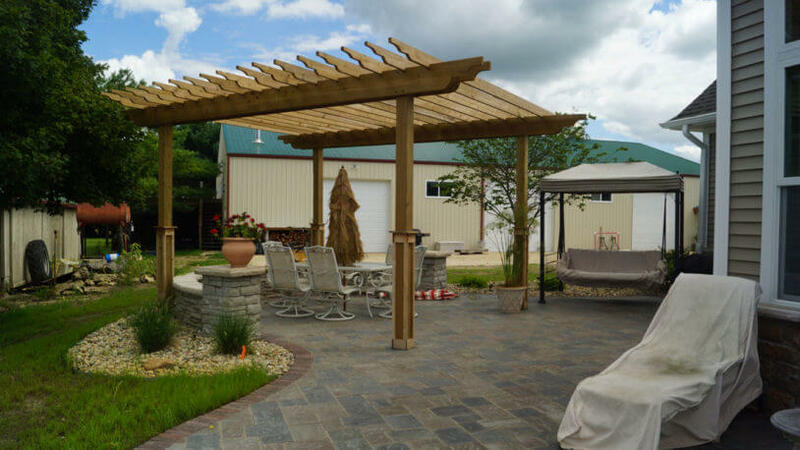 Permeable pavers are becoming more popular because they reduce water runoff and can help restore groundwater reserves. 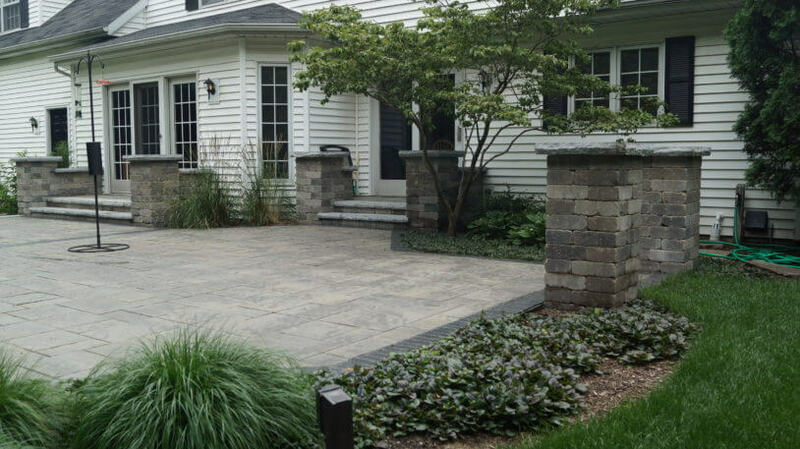 They’re perfect for driveways and parking lots. 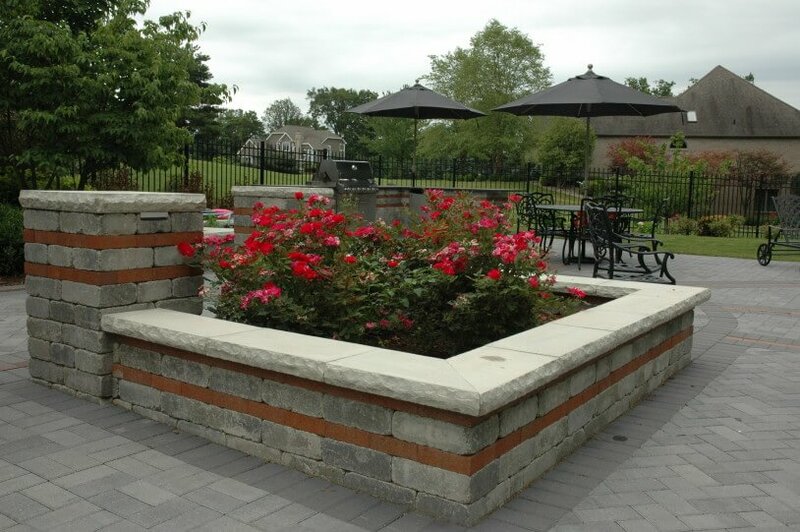 Our ability to create an environment where the landscape planting enhances hard surfaces or structures sets Foegley Landscape apart from other construction firms. An imaginative walkway and steps might invite someone to explore a unique garden area where some undiscovered surprise awaits. 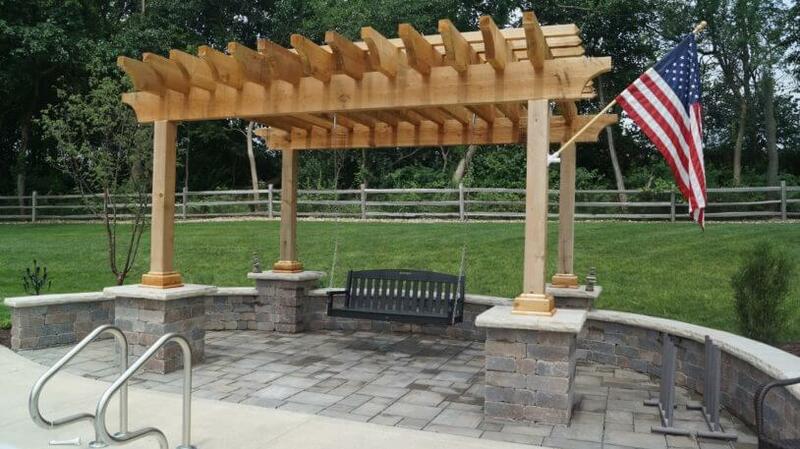 Our installation crews are experienced, their workmanship is exceptional, and our warranty means we really stand behind our work. We’re ready to help so give us a call!